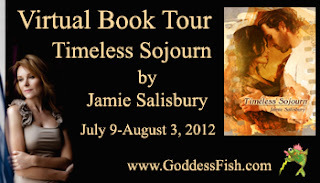 Jamie Salisbury cannot imagine a time when she did not write. A skill that has served her well throughout her professional career. Public relations in and around the entertainment industry, photography, editing, and special event planning all elevated her passion for writing. An avid reader of histories, biographies, and romance, it's only natural that part of the products of her pen are historical romances featuring characters so authentic they spring forth from the page and shake the reader's hand. Many of her teen years were spent in Chile, but she and her family were forced out of the country when the political climate demanded it. Taking the plunge to take her writing professional came as a result of a series of foot surgeries that left her with a lot of time on her hands. Unable to walk great distances at the time, she started writing as a way to pass the time. Her experiences of how dramatically her life had changed at first. Then the new world of e-publishing inspired her to digitally publish her first novel, Perpetual Love, rather than relegate it to the dreaded drawer. She couldn't be happier with her decision to grab the publishing industry by the shoulders and force it to pay attention to all she has to offer. Two more novels have followed: Blood Lust and Tudor Rose, with more to follow soon. Jamie now lives outside of Atlanta, but the love for travel has never abandoned her. Adventure, exploration, and intrigue permeate her prose to the core. In those few moments of the day when she's not writing or thinking about writing, she finds knitting a way to relax and unwind. Other interests include photography, equestrianism, reading, and of course traveling. Jamie hopes her writing will entertain, enlighten, and inspire others to pick up the pen and pursue their own dreams. She loves to be contacted by readers, writers, and history buffs. One of the biggest, most daunting tasks of being a self published author is promotion. You don’t have the resources of a publishing house. Or for that matter, much of the time, the financial means of a publishing house. You have to be smart of your dollars and where you spend them. In the past year I have struggled like most newbie authors. Fortunately for me, I do have a background in public relations, making the task a little less intimidating. The Internet can be like the wild west. There is so much information out there. Which is correct, where do you go, who can help you do a good job? These are all questions that run through a self-promoting author’s mind. I have done fairly well, I think. I have a very limited budget to work with and every dollar I spend has to bring a result. I have had my books featured on various blogs, which is an effective, cheap way to get exposure. I have kept up a vigil of making the rounds of all the social media outlets such as Facebook and Twitter. I have a blog and a web site, both of which are evolving as I learn. The other thing I have learned to do is to pay attention to my book covers, making them as intriguing and well done as possible. I had the cover for Timeless Sojourn designed early on that epitomizes everything within the covers of the book. This has been my biggest expense to date, but one that has paid off. The compliments and interest have no doubt increased book sales. When I wrote Timeless Sojourn I wanted to go “all out”. This book comes out in a milestone year for me and I wanted everything to be the best. The book is that important to me, and I want to have the book noticed. For the first time, I decided to do a virtual blog tour. I could do one myself, with my background. But I wanted to have some fun and not all work with the release of Timeless Sojourn. So I researched and finally found one that was a perfect match. I can’t wait to get started. My “advice”? Keep at it, be persistent. Good things will happen. Recently divorced at a time when most women are enjoying their children being grown, Anne Harrison finds her life in chaos. At the urging of her forever-friend Kat, Anne moves back to Seattle, her childhood home, to get back her former confidence and make a fresh start. 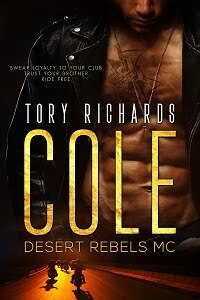 Confident, creative, and a successful businessman, Geoffrey Quinn has depths not immediately apparent to those who come into contact with that cocky, devilishly handsome exterior. The last thing either is looking for is a relationship. Anne finds Geoff highly irritating (and young!) at best, while Geoffrey finds her magnetic and wise. To his amusement, she futilely attempts to dismiss him each time they cross paths, and sparks fly. Watch as this seemingly unsuitable, disparate duo lights a fiery, compelling attraction neither sees coming. But who will get burned? Geoff was right--once we returned to Seattle it was almost a week before I heard from him. When he did call it was merely to check in and see what I was up to. His new project he said would consume him for the next couple of weeks until he was ready to begin his mock up. I took that as a hint to drop by his studio/gallery. Geoff’s studio/gallery was in the same building as Tom’s PR firm so Friday afternoon I decided to pay Geoff a visit. I walked inside his gallery and found him walking through the space. He looked like a deer in the headlights. He looked up, saw me and walked toward me shaking his head. He led me by the hand towards a desk in a corner of his gallery. I sat in the chair placed next to the desk as he sat behind it looking for paper and a pen. We went over a list of guests who would definitely be coming and then on to what he wanted to serve. I got my phone out and began to call Kat. “Whom are you calling?” He asked not looking up from his list. I was actually surprised that he had not been more organized for this event. This wasn’t like him. I smiled to myself as I realized I might be a slight distraction to his usually orderly life. Kat was surprised too, but didn’t flinch when I started asking her questions. Then she came up with an idea and had me give Geoff the phone. All I heard was his grunting to her questions or short answers. “Don’t worry, we’ll get you through this.” I replied taking his hand. We walked to the back. I saw a ton of drawings taped to the walls and on a large flat surface. There was also a large hunk of clay covered by plastic. It amazed my senses at the detail involved in a project such as this. Jamie will be giving away a $25 Amazon GC to one randomly drawn commenter during the tour. The cover for TIMELESS SOJOURN is beautiful and interesting. So, money very well spent. I enjoyed reading the background information thank you. Thank you for hosting Jamie today. The cover is certainly eye-catching! I suspect that promotion is both easier and more challenging in this internet-world. Good luck with it! Promotion is definitely hard for an author, though I will agree that it's harder for all you self-published authors. Promotion DOES look like the most time-consuming part these days. Good luck with the release! While the cover is indeed beautiful on Timeless Sojourn, I personally don't buy a book by its cover, I'm more interested in content and as an addicted reader, I know one doesn't necessarily have anything to do with the other. A cover might cause me to examine a book but it's the content that will decide whether or not I buy it. I say "might cause me to examine a book" because my reading habit is heavy duty and I have an on-going large list of favorite authors. At the same time, I also like to try new to me authors if it's a theme that appeals to me and is at a reasonable cost. I happen to like an Older Woman Younger Man theme so I will try your voice in Timeless Sojourn. Best of luck with your self-publishing journey. It is a jungle out here with an overwhelming number of choices for a reader and a wild ride for authors.